You are here: Home / Media Center / Trade games, trade feud or trade war? 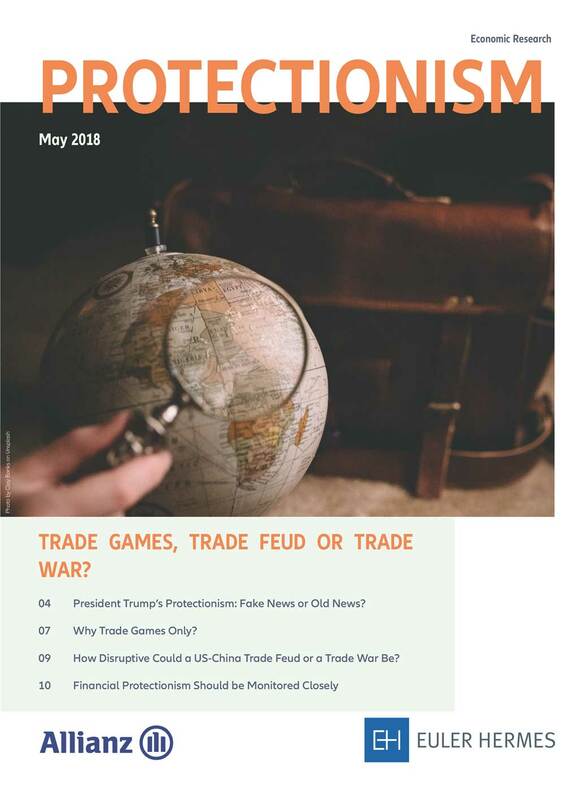 Trade games, trade feud or trade war? Last March, Donald Trump decided to drag age-old protectionism out of the past, imposing tariﬀs on US imports. Retaliation from China – the main target – followed; a solution may be on its way, yet, fears of a trade war resurfaced. A closer look point to mere trade skirmishes. Electronic, Electric, Machinery and Equipment and Auto-motive are the most at-risk industries according to our protectionism tracker.